Smart Annotations are a single line of text below the ad description line. 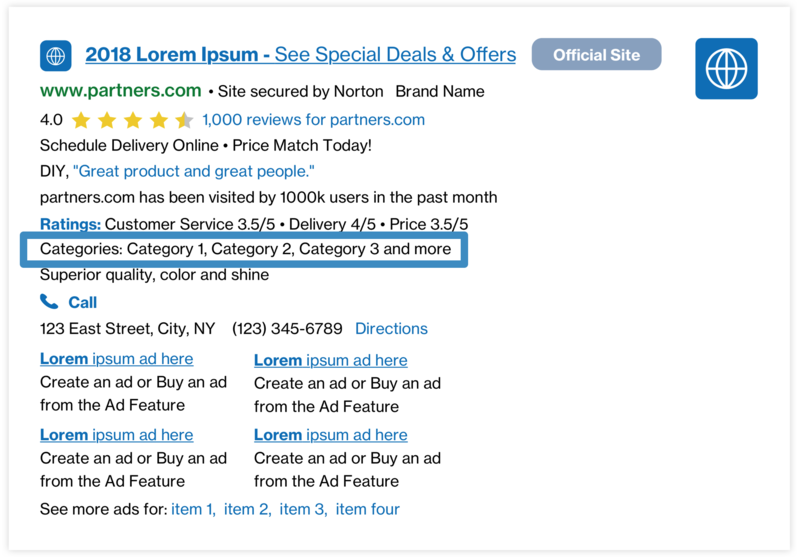 This annotation highlights specific products, categories, features or brands pulled from the advertiser's landing page. Results: Some Partners have seen an estimated lift of +3.5% CTR and RPS. Results may vary.